Whilst in the Air Training Corps you are able to progress not only up the rank system but you are able to move up qualifications. These enable you to progress further within the corps with such things as promotions and activities. Lots of badges you can achieve are listed here. Find out where to put your badges with this useful guide. To be eligible to sit the First Class Cadet examination cadets must be enrolled and must have completed the syllabus for the subjects. To be eligible to sit the Master Cadet examinations, a cadet must have been appointed as a Senior Cadet, have completed the appropriate syllabus training and be 16 years old. 1. Been appointed as a Master Cadet. 2. Reached the age of at least sixteen years. 3. Completed the cadet methods of instruction course (CMOIC). Corporal is the first NCO rank. A cadet holding the rank of Corporal can be referred to as a Junior NCO (JNCO), and acts as the liaison between the cadets and the NCOs. 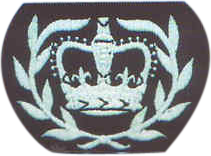 Promotion to Corporal is made by individual Squadron Commanding Officers, and selection is based purely on merit and leadership potential. Sergeant is the first Senior NCO (SNCO) rank. Promotion to Sergeant is made by the Squadron Commanding Officer. 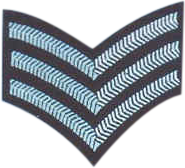 The rank of Flight Sergeant is the highest appointment that can be made by a Squadron Commanding Officer, and a cadet holding this rank would be expected to play a significant role in the running of his or her squadron. 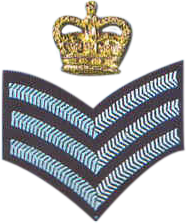 Promotion to Cadet Warrant Officer is decided by a panel at Wing level. A prospective candidate will be a Flight Sergeant, preferably holding the Staff Cadet classification, and will be required to attend an interview at Wing HQ. Cadets who make it to the dizzy heights of CWO are allowed to remain an air cadet until they are twenty years of age.